I first met Trent Reedy at a Society of Children’s Book Writers and Illustrators event in Spokane, Washington, where he spoke about the process of writing his then-newest novel, STEALING AIR. A few minutes into Trent’s presentation, I knew I needed to find a copy of that book as well as his debut novel, WORDS IN THE DUST (an Al Roker Book Club selection!). I devoured both books as soon as I got my hands on them. Then, a month or so ago, I was lucky enough to win an Advanced Readers Copy of Trent’s most recent novel, DIVIDED WE FALL (which hits bookshelves today), through a Goodreads contest. I’m so pleased to say that I’ve enjoyed all of Trent’s books, and I’m absolutely thrilled to be able to interview him here on Bookshop Talk. 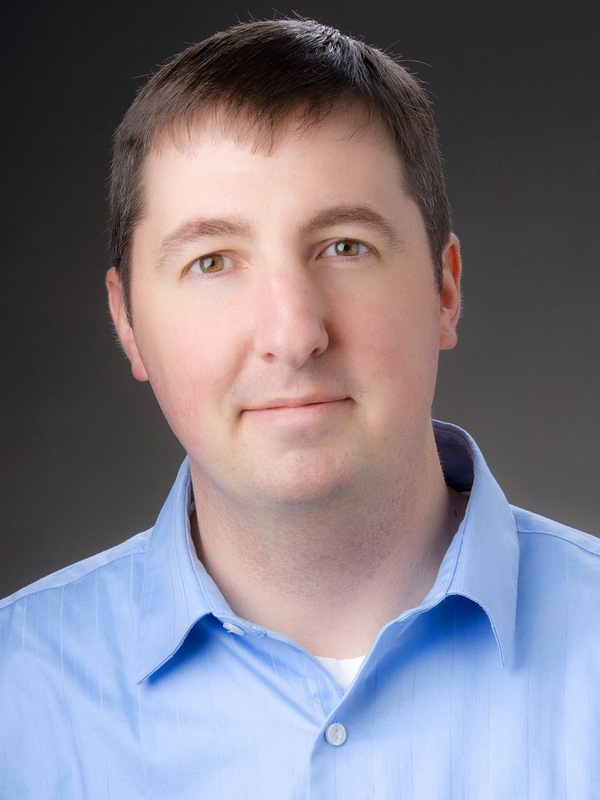 A bit about Trent: Trent Reedy became fascinated with stories of war when he served in Afghanistan with the U.S. Army. He is the award-winning author of Words in The Dust, and has been featured on national news shows including NBC’s Today Show and CBS This Morning. Born and raised in Iowa where he taught high school English, Trent and his wife now live in Washington State. For more about the fabulous Trent Reedy, visit his website by clicking here. For a recent podcast that features Trent Reedy chatting with Cheryl Klein and James Monohan about his books and a few of his writing techniques, check out The Narrative Breakdown by clicking on this link (For all you writers out there, The Narrative Breakdown is the bee’s knees when it comes to helpful hints and writing-related discussion.). Also, don’t miss this video of a recent CBS This Morning interview with Trent and author Katherine Paterson (who was instrumental in Trent’s decision to write WORDS IN THE DUST). Now, on to today’s interview! 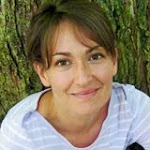 Kim Harris Thacker: Your first novel, WORDS IN THE DUST, is the story of Zulaikha, a young Afghan girl with a cleft lip. Not only must Zulaikha cope with her peers’ cruel taunts, but she must also endure the many limitations her culture imposes upon her and upon other Afghan women. A real girl, also named Zulaikha, whom you met during your service with the U.S. Army in Afghanistan, inspired the tale, which is delivered through first-person narration. Some critics would call this set-up a rather bold one for a writer who is an adult American male; yet reviewers of this novel (myself included) have consistently been impressed by the believability of Zulaikha’s voice. Can you share with us some of the experiences in your life that prepared you to be able to empathize with Zulaikha to the point where you could write about her struggles so convincingly? 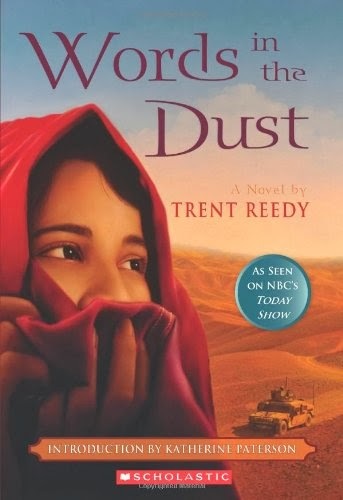 Trent Reedy: I certainly understand the how seemingly unlikely it is for a guy like me to write from the perspective of a young Afghan girl. Choosing to do so was not a decision I made lightly. However, I had promised the real Zulaikha that I would tell her story, and I felt like I could not let her down, especially since it seemed to me that so many Afghan girls had already been let down by a number of difficult circumstances. Still, I had my doubts about whether or not I could or even if I should write the book. When I expressed these doubts to my friend Katherine Paterson, however, she told me she thought I should at least try to write the book. That was all the permission I needed. Perhaps I was able to write from Zulaikha’s perspective because prior to my deployment I had relatively few experiences in my life that prepared me to be able to empathize with Zulaikha. Throughout my time in Afghanistan, I was continually shocked and surprised by the things I saw there. I saw the lingering results of the brutal ten year Soviet occupation. I saw people struggling with few resources and a land with very little modern infrastructure. But I also encountered a brave, kind, hardworking people. I witnessed their hope for something better for themselves and for their children. I watched them begin to rebuild, slowly at first, but then more and more. I saw Afghan people, especially women and girls, dare to dream again. I was prepared for none of this, and so I think the life changing nature of the experience compelled me to write from Zulaikha’s point of view. KHT: On your website, in the “Story Behind the Story” section for WORDS IN THE DUST, you divulge with admirable honesty that before your deployment to Afghanistan, you believed that the people of that country, as a whole, were responsible for the 9-11 attacks on the United States. You go on to explain that you realized your belief was in error once you began associating with and working with Afghans. Was there any experience in particular (that you’re willing to share, of course) that caused this change in your beliefs? What other experiences can you share with us that surprised you or caused you to change your worldview? TR: I was set free from my anger and hatred by the Afghan children. They’d come up to us all the time asking for candy and soccer balls. They’d happily gather around us like they were fans at a rock concert. I’d give an Afghan child something as simple as a pen, and he’d act like it was the greatest gift. Being around that, I couldn’t keep my anger up. I had to admit that they were innocent. I was on guard duty one day when my fellow soldiers and I were living in a small Afghan house in the middle of the city of Farah. Standing on the cement guard platform, I could see over our high, front mud-brick wall. A young girl and boy played across the street. The boy pulled a piece of yarn, dragging a small cardboard box through the dust behind him. The girl pulled only a piece of yarn. She didn’t even have a box! These were probably their only toys. When I thought about how many toys I had enjoyed as a child, even growing up with parents who were poor by American standards, I looked at those Afghan children across the street and realized they needed help, not just with toys, but with establishing schools, communications, and transportation systems. The day I saw those two children is the day I let go of my anger and took our reconstruction mission to heart. KHT: On your website, you talk about Afghanistan’s rich and ancient literary tradition, the existence of which seems surprising, since Afghan culture engenders so many restrictions on literacy. Is there any chance that the incredible works you speak of will be lost to history? Stepping away from speaking of Afghanistan specifically, do you have any ideas of how people can help to preserve their own culture’s literary traditions? TR: I was also surprised to learn about Afghanistan’s rich and ancient literary tradition. I had fallen for lies such as, “Those people have been fighting since the dawn of time, and they’ll never stop” and “They’ve never had a civilized society, only tribal warfare.” Tragically, I only learned through research after my deployment that such statements are ridiculous. Afghanistan’s restrictions on art and literature are merely a recent Taliban crime, and though the Taliban tried hard to eradicate Afghanistan’s culture and cultural heritage, like all evil regimes the world over, they failed. The United State’s mission in Afghanistan is, in a way, the same as its mission against Nazi Germany and the Soviet Union, a fight against cruel oppression. Will Afghanistan’s literature, music, and art be lost to history? As in past struggles to preserve art, it will not be lost as long as at least one brave soul is determined to save it. And I am thrilled to continually hear not only about the preservation of Afghanistan’s past works, but of the growing expansion of modern Afghan art, music, poetry, fiction, and cinema. Though not as powerful as in the late nineties, the threat from the Taliban still exists, so creative people in modern Afghanistan literally risk their lives for their arts. No gun, but a pen. No body armor, but a musical instrument. They are Afghanistan’s heroes. With them lies Afghanistan’s best hope. This struggle is the same all over the world, and the champions of the long fight are those who continue to write and paint and sing and play. We preserve our own culture’s literary traditions by continuing to explore them, to enjoy them, and through our shared discussion about them. Thus, in a very real sense, book bloggers are also a powerful force in the preservation of our literary tradition. We are blessed in America to enjoy a robust literary community, both in the physical world and online, and I’m honored to be a small part of that. KHT: When you were deployed to Afghanistan, your wife sent you a copy of Katherine Patterson’s BRIDGE TO TERABITHIA. According to your website and the introduction to WORDS IN THE DUST (which introduction was written by Katherine Patterson), after you read the novel, you wrote to Ms. Patterson to let her know how much you appreciated the story. And you two have been friends ever since! I love writing to authors that I admire, too, and it always thrills me when they write back. Can you tell us about the best bit of fan mail you’ve ever received? I do not actually get much fan mail, and that’s okay. I’d much rather my readers use their time to read more books. However, I am always delighted to hear from those who have read my novels. One letter that stands out in my mind came from a young girl whose parents moved to America from Afghanistan. She said something like, “Thank you for writing a book that shows people that not all Afghans are bad.” I read that and nearly wept. What must this girl have had to deal with in her life that made her need a book with that message? What unfair assumptions has she faced simply because her parents chose to flee the wars in Afghanistan to seek peace and opportunity in America? I wrote back to this girl, offering all the encouragement I could, honored that my book offered her some help. KHT: So far, you’ve written your books using two different points of view: DIVIDED WE FALL (which, readers, is the first book in a trilogy!) and WORDS IN THE DUST are told from a first-person POV; your second novel, STEALING AIR, is told from a third-person POV. Which point of view—omniscient or first-person—has been easiest to write in, and why do you think that’s the case? First-person is the easiest for me. People warn writers about first-person, saying that it is limiting, but I find that limitation to be liberating. Because I know that the story can only be told through one person’s experience, I do not have to worry about awkward and confusing POV jumps as I might if I were writing an omniscient perspective. First person also allows me a greater feeling for my protagonist. I can more effectively understand who he is and how he thinks and feels about life when I essentially act him out through first-person POV. KHT: STEALING AIR is about a new kid, Brian, who forms a strong friendship with two other boys, Alex and Max. Max is quite the genius, and has even built a type of aircraft, which he calls Blackbird. In order to research how Max might have built Blackbird, you state on your website that you tinkered around with Legos until you came up with a likely aircraft of your own. I call that some fun, hands-on research! As a matter of fact, it would appear that much of your research for your novels is of the hands-on variety: You lived and worked in Afghanistan, and WORDS IN THE DUST is about an Afghan girl; you were a member of the National Guard, and the “Divided We Fall” trilogy is about a young man who is in the National Guard, too. Is hands-on research your favorite type of research to conduct when novel writing? What other kinds of research do you do in order to write your books? TR: To the greatest extent possible, I try to experience the events of my novels firsthand. I like to walk around in places where my novels are set, to take in the sights, sounds, and smells of my characters’ world. It’s absolutely my favorite type of research. It allows me to play with Legos all day, as in the case of my work on Stealing Air. It means I get to go have fun (while taking notes) at a great rodeo in northern Idaho. Being a writer is the best job in the universe, because most days, I get to stay home and dream and pretend on the page, but lots of times I get to go out in the world and explore. In terms of other research, in addition to checking websites for quick facts, I read a lot of books about topics related to my novels. Recently, I’ve been spending a lot of time on YouTube, trying to get a sense of the rhythm of various broadcast journalism entities to help me write the media sections for Divided We Fall. KHT: Many of the online reviews of STEALING AIR state that this is the perfect book for boys or for reluctant readers. “Boys” and “Reluctant Readers” are often lumped together, as if they are, in fact, one and the same group. What are your thoughts about this? Do you have any ideas of things we can do to help reluctant readers—male and/or female—to become strong readers? TR: This question opens up a huge topic, one that has easily been the subject of entire books, so I worry that whatever answer I provide here will be woefully inadequate. First, I am bothered by the trend in literature for young people whereby books are labeled “boy books” or “girl books” and where boys are so often labeled “reluctant readers.” Someday, I might carefully, and at some length, lay out my thoughts and experiences with these topics. For now, I’ll say that I think a lot of middle grade books are what I casually call “feelings books.” Feelings books are stories about characters with dead siblings or missing parents or some other very emotional topic, stories with hope, but often with a lot of sadness. I love feelings books. Katherine Paterson’s Bridge To Terabithia was one such book that saved my life. Words in the Dust is a feelings book. I wonder if it is possible that most middle grade novels are feelings books. And I wonder if a lot of boys have been trained, not to be without feelings, but at least to crave a little more action. Sometimes when I’m reading, I just want to rock. I want a faster paced adventure, where I’m reading not as much to learn some insight into human feelings, but to soar through the air or explore the spooky ruins of some ancient temple. I wrote Stealing Air as something fun for middle grade boys and girls. I’ve been blessed with quite a few e-mails from young boys who say it’s their favorite book, or that they had so much fun reading it. They often ask for a sequel. I think librarians know, perhaps more than any of us, how helping reluctant readers become strong readers is, and has always been, a matter of matching the right book with the right young person. For me, the novel that turned it all around in the fourth grade was Tamora Pierce’s Alanna: The First Adventure. Tamora would be upset with me if I called it a “girl’s book,” but surely some have deemed it so. Back then, I didn’t care how the book was labeled. I just saw that cover with the girl looking up at that incredible sword, and I knew that blade held infinite potential for adventure. It’s about stories, not boys or girls or reluctant readers or strong readers. It’s always been about the stories. KHT: You say on your website that you’ve always found flying fascinating. 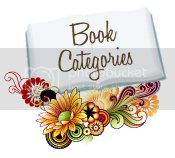 What other interests do you have, and can we expect any future novels about any of them? TR: I’m interested in a lot of things, and it would be impossible for me to keep my interests out of my future novels. I have a complicated interest in sports and in football in particular that will feature prominently in my fall, 2014 release, a YA novel called If You’re Reading This. That novel also incorporates my experiences and thoughts about Afghanistan. It’s going to be quite unique. I also love science fiction, and so I’m eager to write about those elements, though I’m not quite sure how I’ll approach that yet. I’m having fun building a sailing ship out of Legos, and I have some fun ideas for working that into a fantasty/sci-fi novel. The great thing about being a writer is that I never know where it will take me next. KHT: STEALING AIR deals quite a lot with bullying, as does WORDS IN THE DUST. I think books about this subject are so incredibly important for kids to read, since bullying is such an issue in schools (and elsewhere) today. Are there any other books that deal heavily with bullying that you can recommend? TR: One of the many great things about literature for young people is that it offers helpful perspectives on a number of issues, and of course lately there has been a great effort to help young people deal with cruelty. 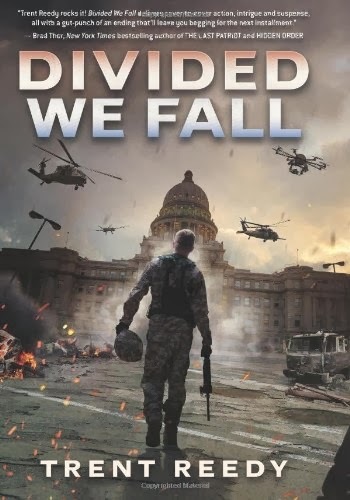 KHT: Your newest novel, DIVIDED WE FALL, features a young man who is enlisted in the Idaho National Guard, and much of the story takes place in northern Idaho. I live in northern Idaho, myself (though I’m a Wyoming girl, through and through). What made you choose Idaho? TR: I chose Idaho as the setting for Divided We Fall for a number of reasons. First, the state is absolutely beautiful. I only recently moved to the Inland Northwest from Iowa, and I’ve been delighted with this region. More importantly, I knew that Divided We Fall was going to be about a stand-off between a state and the federal government. I had to think of a plausible way that a state could hold out against the Fed’s power. Idaho offers a rugged terrain that could provide a natural defense against invasion. Finally, Idaho is a fiercely independent state. It’s legislature has experimented with nullification as a means of stopping federal legislation with which they disagreed. Idaho is generally very in favor of Second Amendment rights. All of these elements made Idaho the ideal place to set a novel like Divided We Fall. KHT: How was the experience/process of writing DIVIDED WE FALL, which is a young adult novel, different from writing WORDS IN THE DUST and STEALING AIR, which are middle grade? TR: The writing process is different with each novel, so much so that it is less productive, I think, to talk about the differences between writing middle grade and young adult novels. I will say that Divided We Fall might have been the best writing experience I’ve ever had. Never before has a character been so clear to me as was Danny Wright. I wrote the novel in a very short time, with revisions also progressing quickly. I had fun with the entire process, and I’m very happy with the book that resulted from it. I’m eager to hear what readers have to say about Divided We Fall. 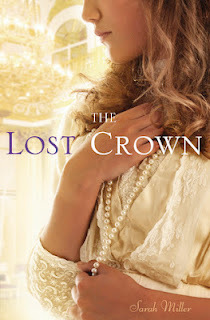 KHT: Of all the characters in all your novels, whom do you relate to the most? How about the least? TR: This is going to sound like a politician’s answer, but after giving this question some thought, I keep coming to the same conclusion. With very few exceptions, I think I relate to nearly all the characters in Divided We Fall. I have to relate to them in some way for me to be able to write them. At times I feel adventurous like Danny, and at other moments I’m more subdued like Becca. Sometimes I favor a harder approach like Senate Majority Leader Laura Griffith, but I also sometimes favor a more cautious attitude like President Rodriguez. To make characters people can enjoy and relate to, I have to find some level upon which I can relate to those characters. 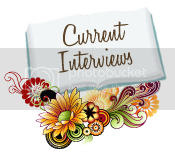 KHT: Finally, one of my favorite questions to ask in author interviews: What are some of your favorite books? TR: The toughest question is saved for last! We are blessed to live in a time when there are more authors producing more great books than ever before, and this is particularly true in the realm of literature for young people. This is really a golden age for books. Unfortunately, this golden age makes this question rather difficult to answer. I don’t think there’s enough memory on the entire Internet for me to list all my favorite books. I’ll list five here, but by doing so, I’m betraying 1.7 guagazillion other fantastic books that I love. The Poetry of Robert Frost by...Robert Frost. Who else? Thank you so much, Trent, for joining us here on Bookshop Talk! Congratulations on your success as an author, and congratulations on the release of a brand new book, today! Readers, if you live in or within driving distance to the Spokane, WA area, hop over to Auntie’s Bookstore on February 1st for the DIVIDED WE FALL launch party! Rumor has it that you’ll get to hear Trent sing... You can find more information about the launch here. I was really curious on how the author would be able to make me fall in love with a zombie but she totally did it. I fell in love with Bram just like Nora did (the main character). He was so sweet and so human. 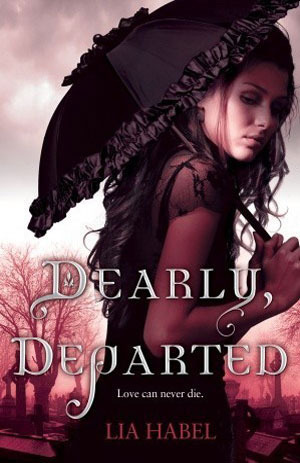 I also loved how the author was able to make it a Victorian time (love that time period) and futuristic. I really liked how Nora was a strong, independent woman but could also be a romantic and sweet girl. If you love zombies and pretty dresses, DEARLY DEPARTED is your book. Susan is just your average governess, tucking in your average children on an average holiday bearing a remarkable similarity to Christmas. Everything is normal. 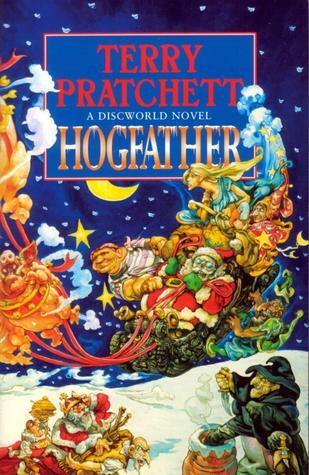 THE HOGFATHER, idol of millions, is… gone, but it’s Hogswatch night and if children wake up in the morning without presents the results could be disastrous. How disastrous? Susan’s grandfather, Death, predicts that if children do not wake up on Hogswatch day believing in the Hogfather than the sun won’t rise in the morning. So what exactly is going on? The Auditors (the ones in charge of making sure the universe makes sense) have gone to the assassins’ guild and put a hit out on the fat man. This rather unexpected request has left the guild scrambling for a way to kill an immortal being. The only man for the job is Mr. Teatime (pronounced Teh-ah-tim-eh) an eccentric though gifted student of the guild. Mr. Teatime’s got a plan, but first he’s going to have to have to hire a locksmith, a wizard, a couple of thugs, and he’s going to have to kidnap a tooth fairy. Death of course, doesn’t expect Susan to get involved. She’s resolved to be a normal human living a normal life and he doesn’t think she should change a thing. However, since he can’t allow for the sun not to rise in the morning Death resolves not just to find a replacement Hogfather. He decides to become one. The grim reaper posing as the symbol of joy and happiness and eating until you explode? What could possibly go wrong? The Hogfather aims at reminding adults not to get caught up in the commercialism of Christmas, but easily sidesteps sounding preachy. It remains a hilarious romp through the fictional Discworld. The story follows Mr. Teatime and his odd band as they break into the Tooth Fairy’s castle and begin hoarding teeth, Susan’s plight to find the real Hogfather before any children figure out that a cloak full of bones (or worse- parents) are putting out the Hogswatch presents, and Death as he tries to understand why it matters if the child has been naughty or nice. Don’t they just get presents anyway? This book is great. The quirky characters, the odd setting, the bizarre scenarios, it’s nothing like your average Christmas story. The Hogfather is a fat man with tusks, his sleigh is pulled by giant boars, there are talking ravens and dim witted night watchmen and a host of weirdness that makes this book amazing. I’m not recommending that you read it in December when you want to feel warm and fuzzy, but maybe if you’re feeling frustrated from all of the shopping and company and chaos that often accompanies the holidays, then I suggest you lock yourself if your room and read this book. It’ll remind you of what’s important.